Defensive Driving and Distracted Driving Courses, Enroll Now! Stay safe on the road and on the job with distracted driving and defensive driving courses from CertifyMe.net. Rather than simply getting from point A to point B, the most important part of driving any vehicle is being safe behind the wheel. And with safety comes defensive driving. A defensive driver is an attentive driver who’s aware of their surroundings at all times. According to OSHA’s own records, there were about 2,500 forklift safety violations in 2017 – and many of those were caused by reckless driving. You can’t assume that other forklift drivers are always attentive behind the wheel. They should be, but that isn’t always the case. So how can you become more aware of your surroundings, particularly as it relates to other forklift drivers? Introducing our complete line of online driving courses designed to help you become a better forklift driver! The defensive driving courses from CertifyMe.net teach drivers how to become a defensive driver to stay safe on the road or worksite and prevent accidents (and how not to be a distracted driver). For employers, our courses can prevent collisions and other serious accidents from happening in your workplace, not only keeping workers safe but helping you avoid costly fines, legalities, and damage. OSHA loves a safe accident-free workplace, so the fastest you can get all your employees trained in safe driving is your best bet at keeping officials out of your workplace and saving thousands of dollars down the road. With our defensive driving online course, you’ll know what to do in a variety of sticky situations. And in many cases, the online defensive driving course from CertifyMe.net will help you avoid accidents and injuries in the first place! Call 888-699-4800 to Sign Up! 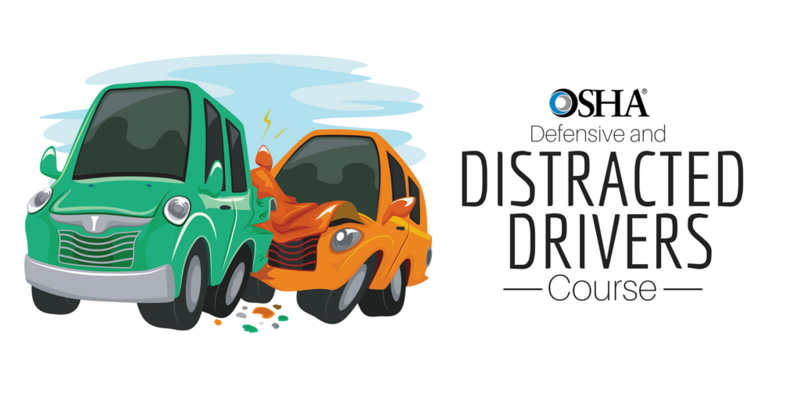 Each of our online distracted and defensive driving courses are 30-minutes in length and are essential for keeping employees safe on the road. Divided into multiple easy-to-follow steps with the combination of audio, full-motion video, text and colorful graphics, each course is designed to optimize the understanding and retention of information. All four courses are compatible with any SCORM conformant learning management system (LMS), offering the most cost-effective, convenient and industry compliant courses on the market. Talking on their cellphone while driving. Heck, we may have been one of them at some point. Despite how normalized these on-the-road activities have become, they are very dangerous. When drivers aren’t paying attention to the road, it’s called distracted driving, and it has serious consequences. This online distracted driving course delivers the information workers need to drive cars, vans, and small trucks safely, on and off the job. It teaches the dangers of multi-tasking, technology, cell phones, and other distractions on the road and how to eliminate them before and after getting behind the wheel. The distracted driving class also covers the costs of distracted driving, and the importance of staying distraction-free behind the wheel. Defensive driving is one of the few times that it’s good to look for trouble. A defensive driver assumes others on the road are distracted so they’re prepared to make safe decisions quickly. Defensive driving is the best way to defend yourself against other drivers who may not be paying attention like you are. Hundreds of thousands of citizens drive everyday for work and personal reasons, and are a part of the accidents that claim over 30,000 lives and cause one million injuries every year. These people are the employees of business owners, who are responsible for the medical expenses, fines and legal costs if accidents occur on company business. It’s a fact that motor vehicle crashes are the number one cause of fatalities on the job. With our online defensive driving course, CertifyMe.net will explain real-life driving situations that you can apply to your own job. From delivery drivers to cargo transport, our defensive driving safety course also has “crossover” lessons for other areas involving vehicles. For example, you can take what you learn with this online driving course and use the same concepts in warehouses, dockyards, distribution centers, and more! Our Driving Safety course is beneficial for all employees who drive for work regularly, whether in a car, van, or small truck. Understanding the fundamentals of driving safety can help reduce the 30,000 fatal motor accidents that happen every year. This online driving course is an ideal training session for beginner to advanced drivers. It’s always a good idea to keep your safety credentials up to date, and this online driving course covers basic and intermediate safety training. As we get more comfortable with driving through experience, it’s easy to forget safety practices and to allow ourselves to become distracted. While driving may become more and more of an activity we do on autopilot, preventable motor accidents claim the lives of nearly 35,000 drivers every year. Sometimes, all it takes is a refresh of the basics to prevent accidents. The Driving Safety: The Basics class teaches students the invaluable skills needed to avoid trouble on the road, keep their vehicle maintained, and adopt a mentality for safety. The safety driving course teaches how to prepare to drive safely, the fundamentals of safe driving, driving with other vehicles on the road, how to drive at night and in poor weather conditions, how to deal with and avoid distracted drivers and road rage, how to handle an emergency, and more. With the proper skills and knowledge, we can help reduce the number of accidents on the road that cost the lives and health of thousands every year. At CertifyMe.net, we’ve created our defensive driving courses online to teach students to drive defensively, drive safely, and avoid distractions on the road. Not only will you be protecting your own life by taking these courses but you’ll also be more appealing to potential employers to help you land your dream job. At only 30-minutes each, there’s no excuse not to invest in these courses. Sign up today and be a better, safer driver! Whether you’re interested in one defensive driving course online, or all four, CertifyMe.net offer the OSHA-approved training you need to become safer on the job! If you’re interested in signing up for our defensive driving online courses, call CertifyMe.net today at 1-888-699-4800. Thanks for considering CertifyMe.net for all of your online driving course needs!